f4420 - bead with loop. pack of 5. 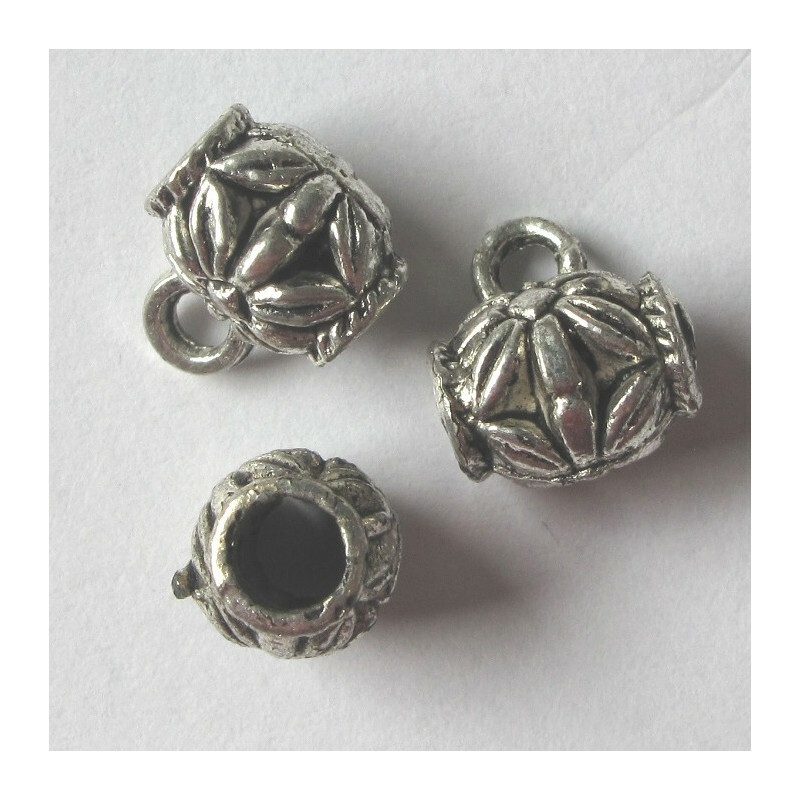 > Findings>Silver Colour Findings>Bead with loop. Pack of 5. Bead with loop. Pack of 5. F4420 - Bead with loop. Pack of 5. 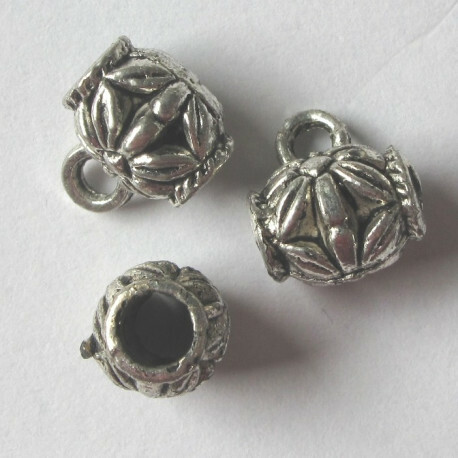 Approx 9 x 7.5mm.Hole size approx. 4mm. Loop hole approx.2mm. Floral decoration.